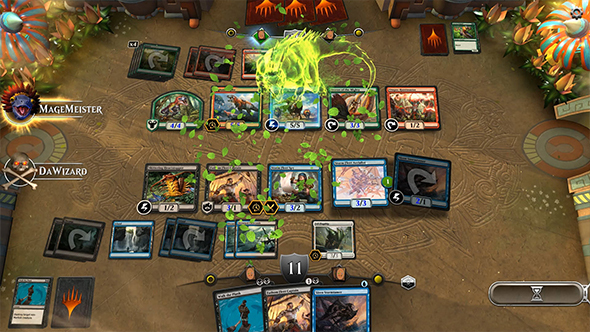 The latest digital rendition of Wizards of the Coast’s venerable card game was officially unveiled today. 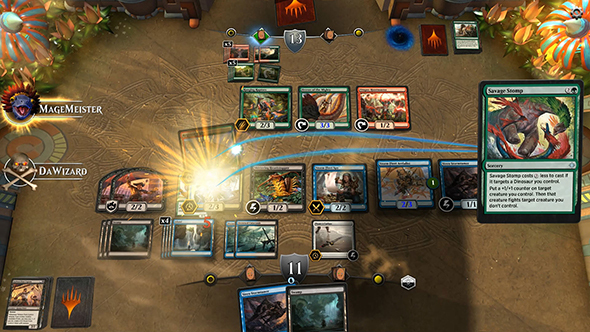 Magic: The Gathering Arena is set to fully recreate the rules and cards of the tabletop game, presenting a new way to enjoy everything Magic has to offer. Arena looks like it could soon be joining our list of the best free games on PC. 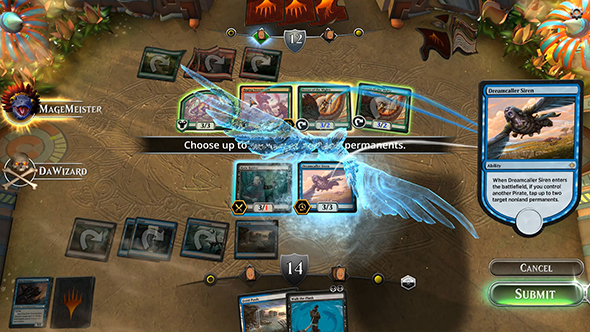 Magic: The Gathering Arena comes from new developers at Wizards called Magic Digital Studio, and they say the game will feature a greater connection to its traditional tabletop counterpart than anything that’s come before. It will be a complete, free-to-play rendition of Magic with all the rules and intricacies intact, with every card in standard format, the simultaneous addition of new card sets, and 1,000 new cards every year. Arena will feature multiplayer options including ranked matchmaking and draft events, as well as casual constructed options. Digital-only formats are being considered for the future. It’s been built for quick matches easily readable by streaming audiences, with visual flair that doesn’t detract from the game’s playability. Wizards promise that Arena is built for the future, and can easily evolve alongside the introduction of new cards and rules variations. They want it to blend the best elements of Magic Duels, Magic Online, and the tabletop game, while going beyond what any previous incarnation had been capable of. Closed beta signups are available on the official website now, and players of Magic Duels, Magic Online, and traditional Magic will have opportunities for priority access. Early players will enjoy casual constructed play with cards from the Ixalan set, and testing will begin later this year. The game will be available only on PC to start. Magic Duels had its final content update a few months ago, and fans did not take kindly to the knowledge that the game was coming to an end. However, continued support is planned for Magic Online.